Donald Gillies often offers a few simple words of advice to friends and family— “listen to your heart.” It took two medical scares for Gillies to take his own advice seriously. The first scare came in 1995 when he was 42. What the South Brunswick, New Jersey, resident soon discovered thanks to a pre-employment physical was that he actually had developed aortic insufficiency as a result of an infection. “I never imagined that the beating sensation I was feeling was actually my heart struggling to pump blood,” he says. Gillies’ age and health made him the perfect candidate for the Ross procedure, a technically complicated surgery that involved replacing the damaged aortic valve with his own pulmonary valve. Gillies’ pulmonary valve was then replaced with a human donated valve. Gillies was still going to the gym regularly and considered himself healthy, despite having difficulty taking deep breaths. Gillies went on with “life as usual” until he failed a routine echocardiogram two years later. A CT scan showed he had developed an aortic aneurysm. Once again, he required heart surgery. It’s been four months since his surgery and Gillies is doing beautifully. Individuals with complex valve disease benefit from the advanced treatment options offered by Montefiore's Comprehensive Heart and Valve Repair Program. Here, patients are cared for by a multidisciplinary team of valve specialists who are widely recognized for their experience and expertise in all forms of mitral and aortic valve repair and replacement. Montefiore's doctors recognize the benefit of preserving a patient's own heart valve and are dedicated to pursuing valve repair as a primary treatment option. 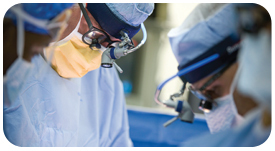 In most cases valve repair can be accomplished using a minimally invasive approach, which helps to reduce the patient's recovery time and improve overall outcomes. Plus, because this approach spares the native valve, patients have a reduced risk of endocarditis and avoid the lifelong need for anticoagulants. When a patient's condition necessitates valve replacement, Montefiore offers both mechanical and biologic options that are placed using the latest methods available. This includes transcatheter aortic-valve implantation, a new, catheter-based approach to aortic valve replacement that is currently offered at only a few sites in the region. To learn more about Montefiore's Comprehensive Heart Valve Repair Program, visit www.montefiore.org/valverepair .